As any investor knows, there are a number of events that can lead to some sort of reversal of fortunes. Changes in the marketplace may cause some of the assets to decrease in value. At other times, assets can be lost through some sort of court action. One of the ways that you can make sure a portion of your holdings are secure and cannot be touched when your financial picture is looking a little bleak is to use the strategy of asset protection. The basic idea behind protecting assets is to utilize legal investment vehicles that ensure those assets cannot be seized and liquidated in order to settle some sort of court action or some outstanding debt that has arisen. While your other assets may go toward settling those actions, any of the holdings that you have placed in some sort of exempted account will remain intact. This can provide you with the basis for slowly rebuilding your wealth once the other matters are settled. One of the more practical ways to go about protecting your assets is to invest in a good quality offshore life insurance plan. Policies of this type involve the use of assets in order to maintain the coverage and are in effect pledged to the provider for the duration of the policy. In many nations, choosing to go with variable universal life insurance means you can use the plan to cover assets ranging from stocks to real estate and possibly even holding such as jewelry. The range of assets that you can protect using this approach will vary depending on the insurance laws that apply to the issuing entity. Since the assets are effectively committed to the life insurance, they are not subject to seizure and sale in the event you undergo some sort of financial crisis. The assets will remain in the control of the provider and will only be disbursed once you pass away. At that point, the provider is bound to dispose or distribute the assets according to the terms found in the policy. One of the more common approaches is to have the provider sell the assets and forward the proceeds to your beneficiaries, an approach that typically helps minimize any tax obligations they would incur. When it comes to building funds for retirement, you are not limited to just domestic accounts. There are also retirement accounts that operate in an offshore environment. In many cases, the deposits you make in those funds are also protected from any type of seizure. Even if you should go through bankruptcy, those funds will not be available to settle any of the debts to your creditors. As with domestic accounts, you will find there are limits on the total contributions you can make to the plans annually. Depending on the country of origin, you may find that those maximum contributions are higher than any domestic retirement account. In addition, the penalties for early withdrawal may or may not mirror the provisions that apply to domestic accounts. When considering this option as a means of protecting a portion of your assets, always pay attention to how the account balance will accrue interest, when you can begin withdrawing the funds without incurring a penalty and what type of tax obligation you will incur once those withdrawals begin. 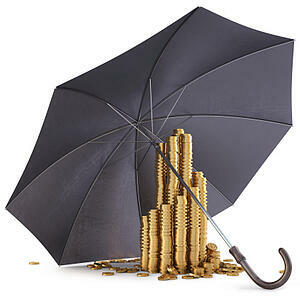 An asset protection trust is another strategy used for asset protection. In this scenario, specific assets are pledged to the trust and are held for the owner by a trustee. Depending on the laws that prevail in the nation where the offshore trust is established, this may involve the use of a third party trustee. The general idea is to make sure the assets incur a minimum tax obligation as they continue to generate revenue. The assets that are included in the trust are also less likely to be subject to liquidation in the event of some type of court action. As a result, the assets remain intact and will be available for distribution to your heirs after you die. As with any other type of offshore financial account, it is important to make sure you understand the laws that will govern the structure and function of the trust. Don’t assume that the offshore trust will operate in the same manner as a domestic trust. Look closely at the provisions that apply and be aware of governmental regulations that help to protect your rights in regard to that trust. By making sure you understand exactly how the trust functions, you can utilize this approach to protect a portion of your assets and rest easy that they are in good hands.